Adhika masam or Adhik Masa is an additional month that appears in the Hindu Lunar calendar. This Adhika Masam is from August 18, 2012 to September 16, 2012 as per North Indian Calendar. The adhika masam will occur because to equalise the both solar and lunar calenders. The Solar calendar has 365 days, while Lunar calendar will have 354 days. There is a difference of 11 days between the lunar and solar year. These difference in the days, over years, make up for the additional month upon which there will be a sync between the two calendars. 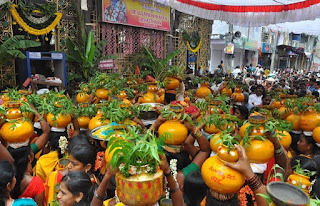 This extra month is known as Adhik Bhadarapad Maas or Adhik Bhadrapada Mahina in 2012. The Adhika Masa is dedicated to Lord Vishnu especially to Lord Sri Krishna. In every two or three solar years the difference between the two calendars becomes a full month that is around 29 days. To compensate and get the two calendars similar an extra month is added. Vasishta Siddhanta, says that the Adhika Masa occurs after every 32 months, 16 days and 8 Ghadis. A Ghadi is 24 minutes. A year with an adhika maasa occurs around 7 times in 19 years. lunar month begins and ends with the new moon (pournami) or no moon (amavasya). due to the Adhika Masam, there will be two Brahmotsavams in Tirupati. It is said that it is very auspicious month and many activities like donation, puja path, and Charity also performed by devotees. In this month many auspicious events like marriage will not occurs. In adhika masam upavasam will be more benificial as compared to other days.